In my final months of university, I often found myself dreaming of leaving home with a heavy backpack, waving goodbye to my weeping Mum at the airport, while I grin uncontrollably, excited for my big adventure to somewhere on the other side of the world. Alas, by the time summer came, I had blown all my money at University that I barely had any left for my dream trip. With only enough for something a bit closer to come, a friend and I settled on a trip across Europe. We decided to go interrailing. Now, I know for us dreamers, this just doesn’t quite seem enough. Just two to four weeks of travelling, and so close to the UK? We want the real deal, the big life-changing trip, am I right? I thought I was, until I landed in Amsterdam, and my adventure around Europe began. What I’m trying to get at is simple. Don’t underestimate Europe, and the adventure that it has in store for you. 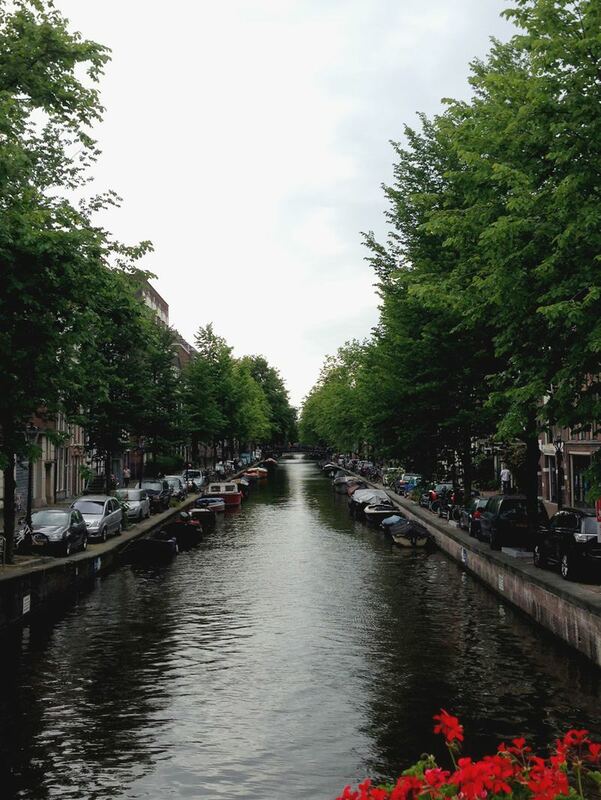 One of Amsterdam's many famous canals. 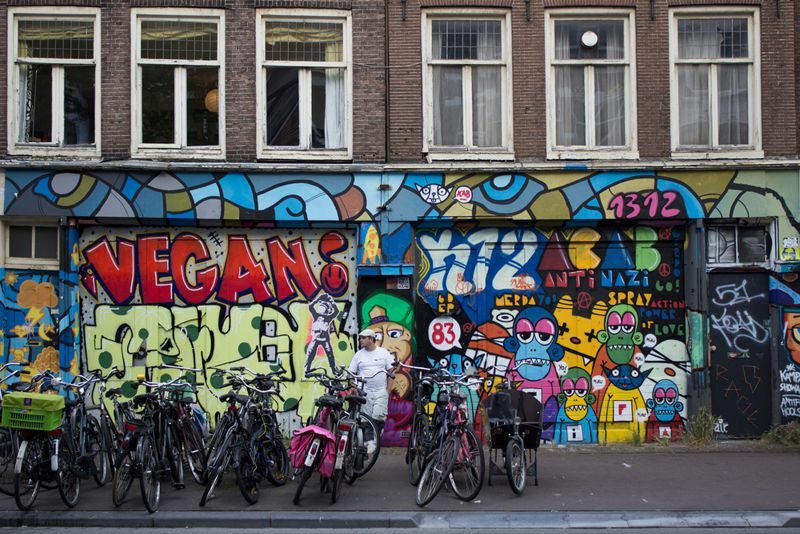 When we were in Amsterdam, we made the most of the diverse range of transport on offer! First of all, we rented a boat and journeyed through the canals of Amsterdam, which gives an entirely different perspective of the city. Then, we rented bikes - of course! - and explored the rest of the city this way. We went to all the famous museums, Anne Frank's house, which I found really emotive, and also ended up at the zoo! Parking our bikes besides the graffiti sprawled streets. The Old Town Square in Prague had such an incredible atmosphere. It had a buzz that I can't even describe - you have to go there to know what I mean! Our favourite place to go was called Bed Lounge, which was a bar full of mattresses! We sat there with shisa and cocktails one evening, sharing our memories of the trip so far. We also paid a visit to the largest music club in Europe, Karlovylazne. Each floor was different, one was a ice bar, one had a live band, one was a techno-rave... the list goes on! However my highlight was probably watching the sun go down over the Charles Bridge, which was beautiful. 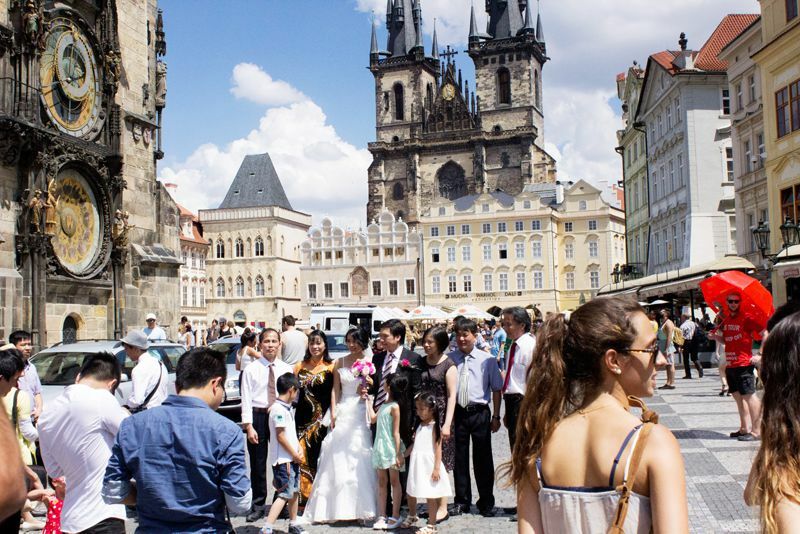 Passing by a wedding ceremony in Old Town Square. Croatia was unbelievable. I hadn't planned to go there as part of our trip, however so many people told me it was not to be missed! We did SO much whilst we were there; from white-water-rafting down Mount Omis to watching David Guetta headline Ultra Festival in Split. Our final meal of the trip was by the harbour in Split and it was a dinner that I shall never forget. 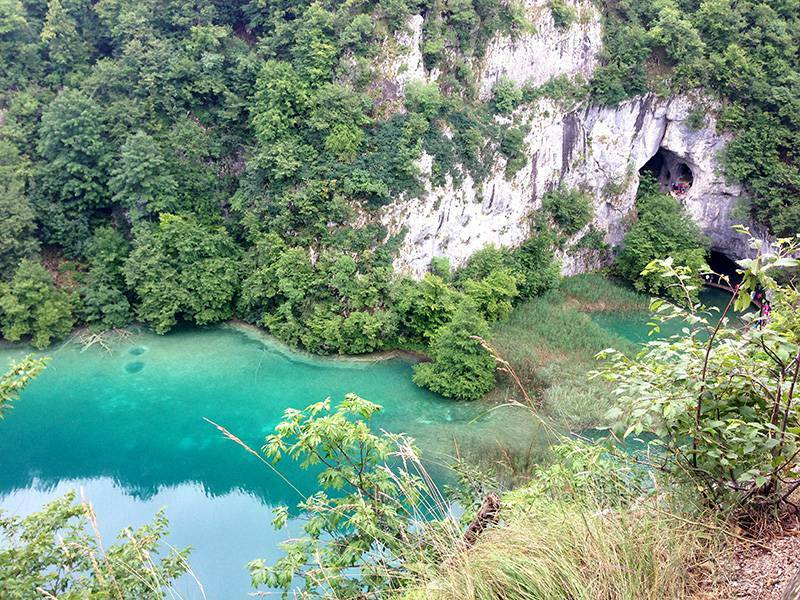 I'm writing a more detailed post about Croatia, so look out for that in the next couple of days for some inspiration. 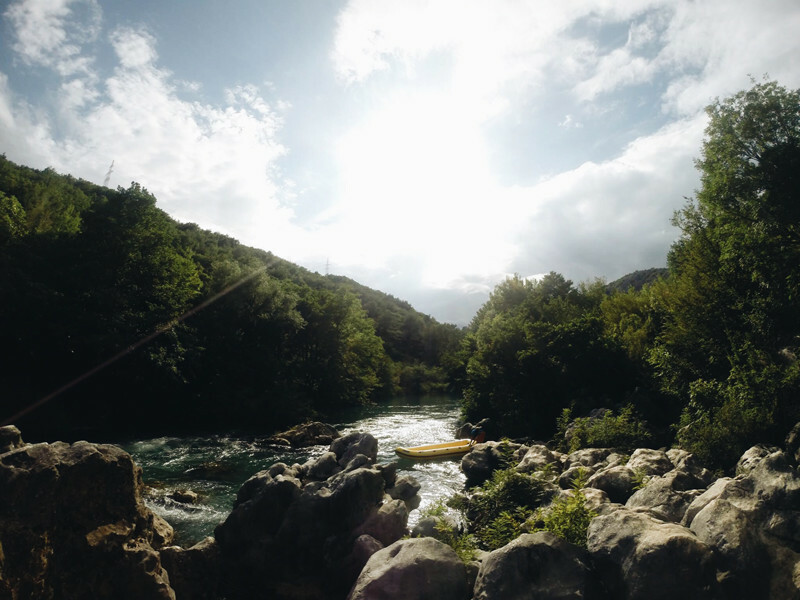 White Water Rafting in Mount Omis, Croatia. 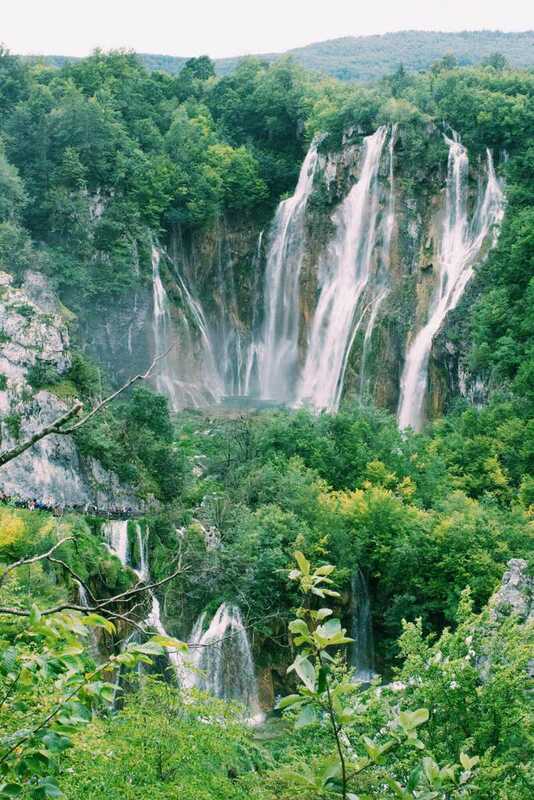 Another view of Lake Plitvice in Croatia. These are just some of the places we visited on our trip, yet throughout all these experiences, it was the people we met along that way that guaranteed this journey as one of the best experiences I’ve ever had. This is why I implore you to see it for yourselves; to wander around a city you’ve never seen, to try food you’ve never heard of, to share a three hour train journey with people you’ve just met, and to explore Europe with people from all over the globe. Has Alex's Interrailing trip inspired you? We have apartments in Prague and villas in Croatia.